He got his leg trapped in the partition in his box, and his leg was stuck in the grill. He was sedated by the vets, and cut free by the stewards. The vets didn’t know how badly he was injured, and decided his best chance was to keep him fully sedated and get him to Avonvale vet hospital asap. The vets were amazing and kept him sedated and on a drip all the way there. The vets at Avonvale were waiting for him, and got him into the recovery room to assess the damage. Because he was unable to have any more sedation, they couldn’t x-ray until the following morning, but were almost certain he hadn’t broken his leg as he was bearing his weight on it. The next day he was x-rayed, and luckily he hadn’t damaged any bones, just a tendon sheath – which was bad enough, but hopefully not fatal. 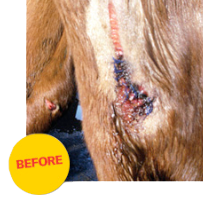 He had his wound stapled in the hope there would be less scarring. As you can imagine, we just wanted him to get better at that point, if he had scars but still alive, that was the best we could hope for. Then a friend of mine told me that someone she knew had used a scar tissue eating enzyme on their horse. It had proved successful, the horse had no permanent scarring after a serious injury, but she didn’t know what it was called. So I searched the internet and found SerraPet. We tried ten, 80,000 IU tablets a day at first, then gradually reduced them, and he is still on 4 a day just in case! We have the pictures that tell their own story. In around 40 days he went from terrible scarring to hardly discernable. Serratia peptidase or serrapeptase is a proteolytic enzyme produced by the Serratia bacterium which lives in the intestine of the silkworm. When the silkworm is ready to emerge from it’s cocoon it produces an enzyme that dissolves that very hard shell so that this delicate little creature can enter into a new world. Serrpeptase is an enzyme grown on plant material by expert Enzyme processors. This immunologically active enzyme is completely bound to the alpha 2 macroglobulin in biological fluids. Histological studies reveal powerful anti-inflammatory effects of this naturally occurring enzyme. The natural Chelation-Anti-Inflammatory Serrapeptase has had wide clinical use – spanning over twenty-five years throughout Europe and Asia – as a viable alternative to salicylates, ibuprofen and the more potent NSAIDs. Unlike these drugs, Serrapeptase – what Robert Redfern has named ‘The Miracle Enzyme’ – is a naturally occurring, physiological agent with no inhibitory effects on prostaglandins and is devoid of gastrointestinal side effects. See Studies and Technical Information. Serrapeptase is a proteolytic enzyme isolated from the micro-organism Serratia E15. This enzyme is naturally processed commercially today through fermentation and was discovered in the silkworm intestine. This immunologically active enzyme is completely bound to the alpha 2 macroglobulin, in biological fluids. Histological studies reveal powerful anti-inflammatory effects of this naturally occurring enzyme. “The Miracle Enzyme” digests non-living tissue, blood clots, cysts, and arterial plaque and inflammation in all forms. 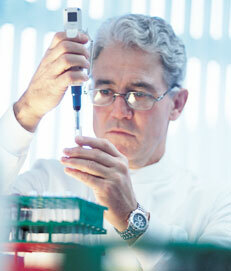 The late German physician, Dr. Hans Nieper, used Serrapeptase to treat arterial blockage in his coronary patients. Serrapeptase protects against stroke and is reportedly more effective and quicker than EDTA Chelation treatments in removing arterial plaque. He also reports that Serrapeptase dissolves blood clots and causes varicose veins to shrink or diminish. Dr. Nieper told of a woman scheduled for hand amputation and a man scheduled for bypass surgery who both recovered quickly without surgery after treatment with Serrapeptase. When Rosie, Susan’s Shitzu dog, developed lymphatic cancer, enlarged nodes in Rosie’s throat constricted her ability to swallow. 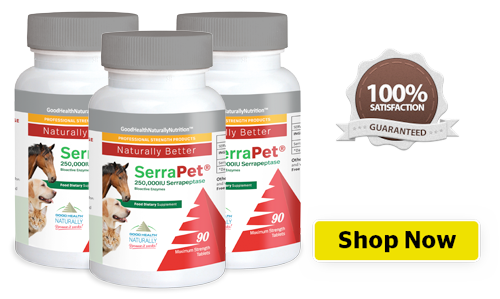 Susan gave her SerraPet™, a supplement for boosting the immune system, Protease and carotene supplements. Within a month, the nodes had shrunk and by August her little dog was pronounced ‘in remission’. Rosie went on to live another two happy years. The silkworm has a symbiotic relationship with the Serratia microorganisms in its intestines. The enzymes secreted by the bacteria in silkworm intestines have a specific affinity to avital tissue (necrosis and fibrin coating, detritus and a high bacterial load can considerably affect wound healing) and have no detrimental effect on the host’s living cells. By dissolving a small hole in the ~ silkworm’s protective cocoon (avital tissue), the winged creature is able to emerge and fly away. The discovery of this unique biological phenomenon led researchers to study clinical applications of the SP enzyme in man. In addition to its widespread use in arthritis, fibrocystic breast disease and carpal tunnel syndrome, researchers in Germany have used SP for atherosclerosis. SP helps to digest atherosclerotic plaque without harming the healthy cells lining Z the arterial wall. Today, researchers consider atherosclerosis an inflammatory condition similar to other degenerative diseases. Some immunologists are even categorizing atherosclerosis as a benign tumor. Hardening and narrowing of the arterial wall is a cumulative result of microscopic trauma; inflammation occurs in the presence of oxidized lipids. SP doesn’t interfere with the synthesis of cholesterol in the body, but helps clear avital tissue from the arterial wall. It is important to note that cholesterol in its pure state is an antioxidant and a necessary component of the major organ systems in the body. The use of medications, which block cholesterol biosynthesis, may eventually damage the liver and compromise anti-oxidant status of the eyes, lungs and other soft tissues. The simple answer is SerraPet is the best anti-inflammatory enzyme available. It does NOT affect any drugs whatsoever except that it may make them unnecessary. I was delighted with the results achieved on my Pekinese who had back/leg problems and wasn’t walking properly. Vet suggested an operation! A course of SerraPet got him back and winning in the show ring. I have given my vet your brochure so that he could read up about it, as he was amazed at the lad’s recovery! My own cat, Sheba, has had a long-term problem with polyps in her right ear. Apart from acute irritation these are apt to grow until they reach the ear drum. An operation is very invasive. After several months on SerraPet™, I took her for a check-up and to my delight the vet declared them ‘contained’. I hope, with continued use, they will shrink significantly. The inflammatory response is an automatic mechanism employed by the body’s immune system to protect against everyday wear and tear. It is activated by any irritation or penetration of the skin or mucous membranes with the ultimate goal of increasing the flow of blood to the site to increase cleansing. One of the things that happen during this normal process is the formation of a substance called fibrin. Fibrin is a protein that forms a mesh-like structure over the affected area for new cells to form on. But the body may not always have the necessary tools to remove fibrin in the circulatory system when its work is done. Serrapeptase helps ensure the timely removal of excess fibrin. and have a hard time getting moving on Monday morning again. We started giving him two in the morning and two in the evenings after more active days, and he’s been doing great since. As for me, I am a 38 year old Marine mechanic and have been a mechanic for about 20 years. As a mechanic, lifting, twisting, pulling and kneeling causes constant pain in my back, legs and especially my forearms. After taking 3 Serrapeptase in the morning and 3 in the evenings (4 on work days) I started to feel better right away, and I could tell very quickly if I had forgotten to take them. A couple of years ago I smashed two of my fingers and damaged a nerve in one of them. I would have pain when over worked. Serrapeptase has taken the pain away to the point that I almost forget about the injury now. I have also suffered chronic ear infections since I was young and haven’t had any problems in the last few months. My blood pressure has always been borderline high and whether directly or indirectly, I believe Serrapeptase has contributed to much lower readings lately as well as fewer stomach and digestive problems. I’m sure there are many more problems Serrapeptase has helped me and Bruno with that we forget about, or don’t realize, because we don’t feel the effects any more. I highly recommend Serrapeptase for everyone and their pets. “In your newsletter, you have asked for feedback about SerraPet. I am delighted to give you mine. 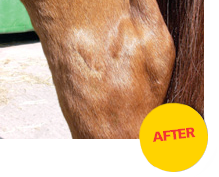 I used SerraPet on my horse, which sustained a severe tendon injury in April. By June a scan showed that he had a chronic tendonitis with much scar tissue formed, both on the tendons, in the tendon sheaths and in the surrounding ligaments. The prognosis was poor; ‘moderate to guarded for anything more than light hacking’ said the report. I had no idea about dose, so had to make an educated guess! I fed him 640,000 IU tablets of SerraPet a day for 6 weeks, then 480,000 IU a day for 2 months, then 240,000 IU a day for a further 2 months. He has just been re-scanned. To my delight, the scan showed almost a full recovery. 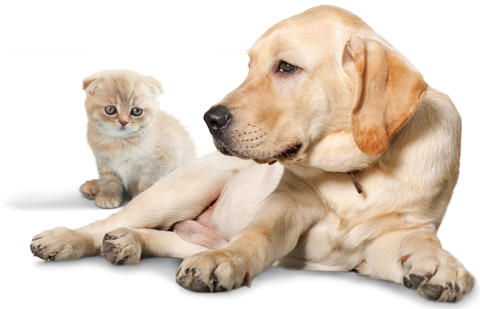 There is minimal scarring on the tendons, and none in the tendon sheaths or ligaments. He is expected to get back to full work now. I can now bring him back into work. I will increase the work slowly over a period of 2 -3 months, and continue on a maintenance dose of Serrapeptase (160,000 IU a day) for a while. Copyright © 2019 Good Health Naturally Inc.